Viknesh Vijayenthiran December 21, 2018 Comment Now! Even though it's just launched the new 2019 A-Class sedan, Mercedes-Benz is planning a redesign for the similarly sized CLA. 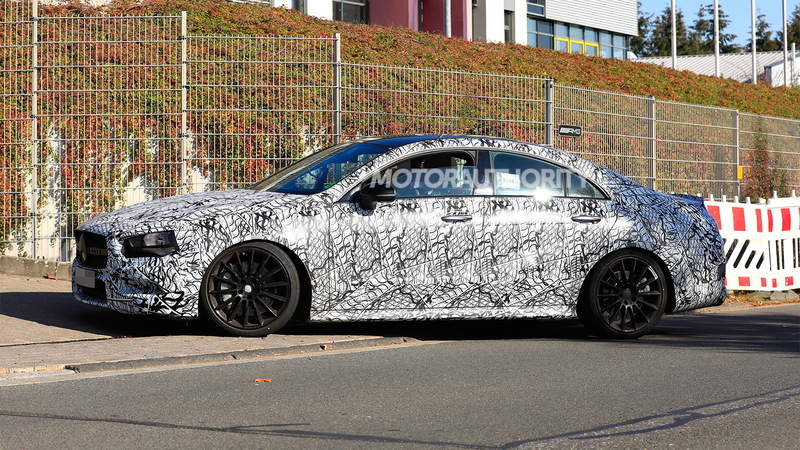 Prototypes for the new coupe-like sedan have been out and about for a while and a debut has been confirmed for next month's 2019 International Consumer Electronics Show in Las Vegas. 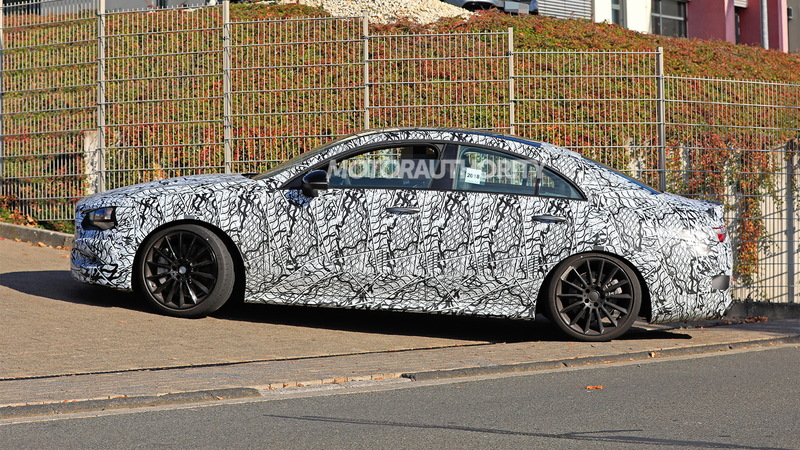 Today, however, we have fresh spy shots and video of a prototype for one of the planned AMG versions. Yes, “versions” isn't a typo as AMG is working on two performance levels for the latest generation of Mercedes compact cars. There will be direct replacements for the current crop of 45 series cars, plus a new crop of slightly tamer 35 series cars, the first of which was the A35 hatchback unveiled in October at the 2018 Paris auto show. 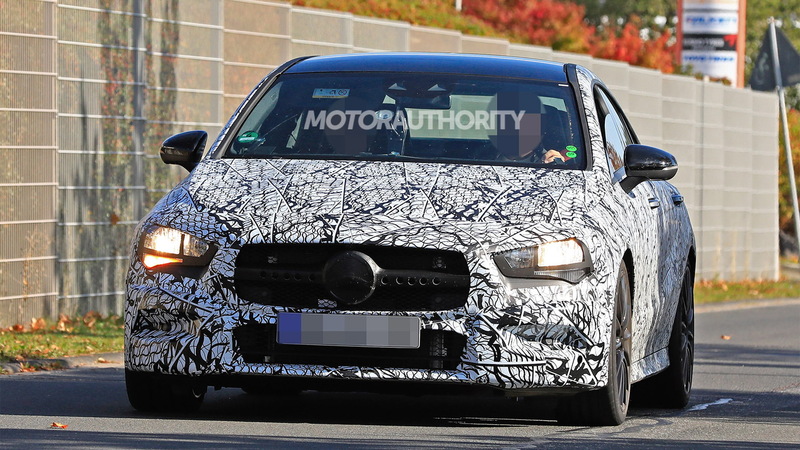 We saw a prototype for the new CLA45 on Wednesday and this time around we're looking at the new CLA35. 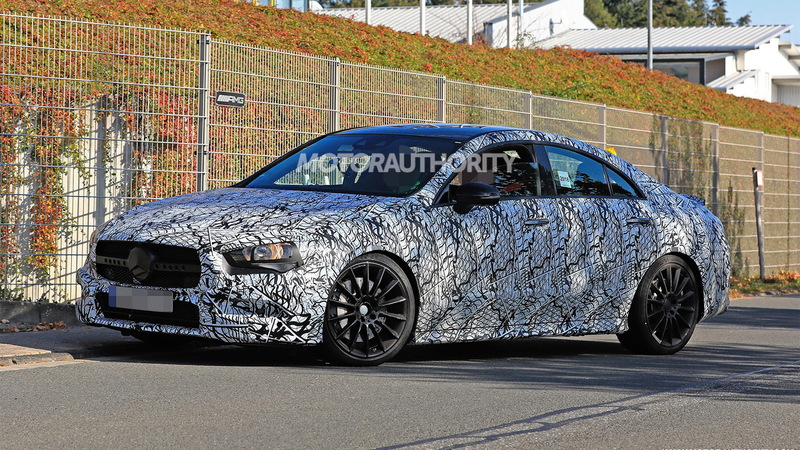 We know this prototype is for a CLA35 and not a CLA45 because of its dual-tip exhaust system. Range-topping AMG models feature quad-exhaust tips. The shot below shows prototypes for both, revealing the differences. The CLA35 also sports a single-bar grille while the CLA45 is expected to feature multiple vertical slats. Like the A35 hatchback, the CLA35 will feature a 2.0-liter turbocharged inline-4 making 302 horsepower and 295 pound-feet of torque. A 7-speed dual-clutch transmission and all-wheel drive will also be part of the package. This combination should result in 0-60 mph acceleration in around 4.5 seconds. Beyond the power boost, the CLA35 should also benefit from increased body rigidity and performance tuning of the transmission and all-wheel-drive system compared to the regular CLA models. The redesigned CLA is expected on sale in mid-2019 as a 2020 model. The CLA35 should arrive in showrooms roughly the same time. It's main target will be Audi's S3. 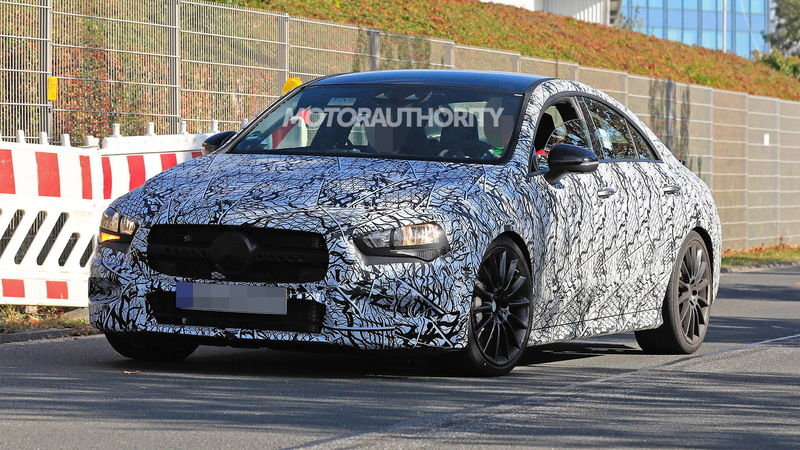 Note, an A35 sedan is also in the pipeline. As for the next 45 series cars, we hear they will come with 8-speed dual-clutch transmissions and over 400 hp (the outgoing 45 series cars come with 375 hp). There are also rumors that there will be both standard and extra spicy S variants, so AMG fans already spoiled for choice will have even more options to choose from.